The penal colony of Cayenne (French: Bagne de Cayenne), commonly known as Devil's Island, was a famous prison of the 19th and 20th century. 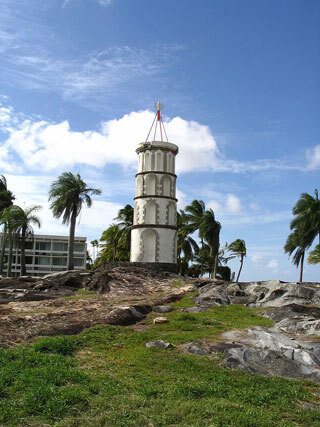 It operated at several locations in French Guiana. Opened in 1852, it was notorious for being used for internal exile of French political prisoners during that period, the most famous of whom was Captain Alfred Dreyfus. It is also known for its harsh treatment of criminals, who were deported there from all parts of the French empire. The system was closed down in 1953. This article uses material from the Wikipedia article "Devil's Island", which is released under the Creative Commons Attribution-Share-Alike 3.0 License.